Divi Tiara is a beautiful resort located between the eastern end of the Cayman Brac airport and its southern shore. The rooms all face the Carribean. There are separate closets in which to hang wetsuits and skins. The rooms contain full baths, cable tv, telephones, and glass sliding doors leading to a balcony facing the sea. The grounds are truly beautiful. During our stay our toilet blocked, our shower rod was broken while we were out diving, and we had very little hot water,(a problem which occurred in two of their buildings,) a weird situation in the tropics. I can't understand why they use no solar heating. There was almost an extra charge for late checkout till I explained about our package. Meals are served buffet style. You can choose either indoor or outdoor seating. The food is excellent; steak, lobster, king crab, prime rib, etc. Breakfast features an "made to order" grill with an extremely friendly chef. Coffee, soda, ice tea and orange juice are always available. Pitchers of ice water were given to each table. Real linen napkins were used. The dining experience was wonderful. There are bikes available for use all the time. We used some of our land time to explore the island. We visited Rebecca's cave which was named after a baby that died there when a family sought shelter during a hurricane. We also explored a hiking path crossing the island from north to south. The diving is excellent. The crew takes care of your gear all week, setting up and carrying everything for you. The divemasters are friendly and helpful. 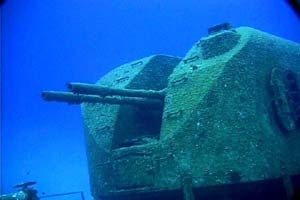 One of the more exciting dives on Cayman Brac is the dive to the Russian Destroyer 356. Not only is the destroyer large and intact. You can enter and explore most of the interior of the destroyer. 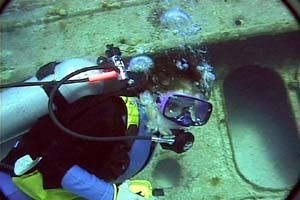 There is also a large green moray resident on the vessel. 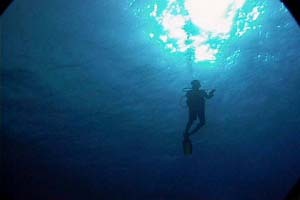 My only problem with diving was the number of divers per boat. Eighteen divers are packed on a boat, making it impossible to move without stepping or tripping on someone. 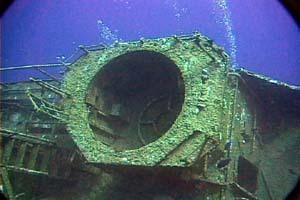 There are so many divers that it is difficult to keep track of the entire group. Though I expected a bit more room, the entire experience at Divi Tiara was fantastic.